This is a stand-alone story in Robert Reed's very rich Great Ship universe. They're so loosely connected, there's no reason to read any other one before this one. 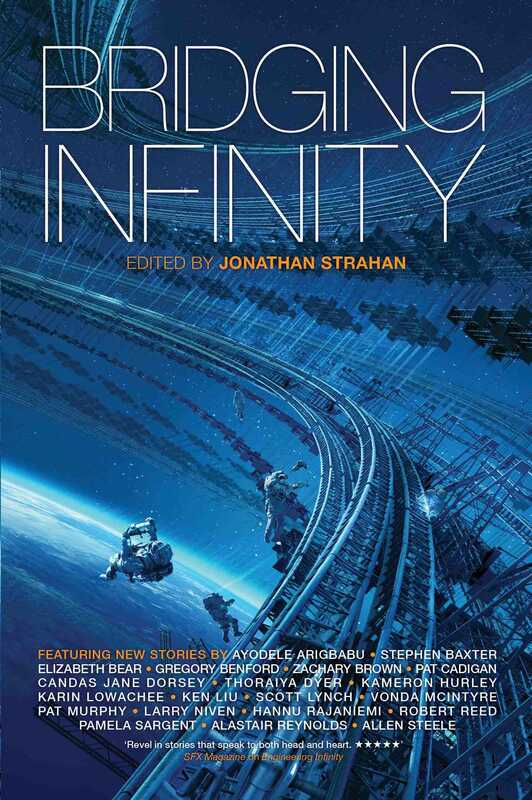 "Parables of Infinity," by Robert Reed [bio] (edited by Jonathan Strahan), appeared in Bridging Infinity (RSR review), published on October 20, 2016 by Solaris. Pro: The central story is entertaining, and the way the super fortress was destroyed is interesting: essentially, that close to the black hole, there were so few available quantum states that the separation between different universes in the multiverse disappeared, and what would have been a minor flaw in a single ship, became fatal. The Star Wars allusions may not be deliberate, but they're amusing nevertheless. An ancient robot tells a story that happened a long time ago in a galaxy far, far way (but close to Andromeda). How an empire built a planet-sized warship. How it was unexpectedly destroyed, and the opposition rejoiced. Of course there's no force, no light sabers, and not really even a rebellion. Con: Although the central story is interesting, it has no characters in it. The envelope story is less interesting. It feels like a fragment: the set up for a lengthy series of stories, Shahrazad-style. I found it to be an outstanding Great Ship story, it's only flaw being that it only scratches the surface of the magnificent Great Ship universe and that it opens up more questions instead of answering some. But that is of course a trademark of the Great Ship franchise itself. I find the mystery and style of all of Robert Reeds Great Ship works very intriguing.